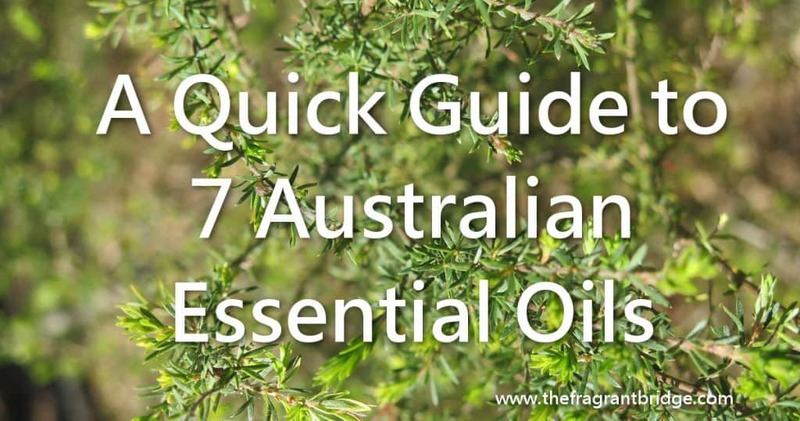 The 26th of January is Australia Day, a good time to give an overview of 7 Australian oils. AUSTRALIAN SANDALWOOD (Santalum spicatum) is one of my favourite oils. She helps to relieve nervous tension, stress and mild anxiety. Use her also to help with dermatitis, eczema and dry skin. She can also be used in meditation to induce feelings of calm and serenity. 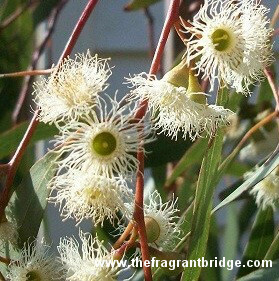 EUCALYPTUS (Eucalyptus radiata) is well known for her ability to help relieve the symptoms of sinusitis, colds and flu. She is also helpful for relieving muscular aches and pains – use with rosemary for an effective after gardening or sports massage blend. She is also an effective wound healer and her anti-viral properties make her a candidate for inclusion in herpes simplex and herpes zoster (shingles) blends. On an emotional level if you are feeling hemmed in eucalyptus brings a sense of freedom by giving you room to breathe and to either accept the situation or change it. She clears mental fatigue and brings clarity. EUCALYPTUS STAIGERIANA (Eucalyptus staigeriana) is also known as lemon scented ironbark. She can be used to help relieve the symptoms of colds and flu and to relieve muscular aches and pains. Use her also to treat minor cuts and wounds as she is anti-infectious and anti-inflammatory. I prefer to use her to help uplift people emotionally when they are feeling down or dispirited. She calms the solar plexus and is very soothing and calming. FRAGONIA™ (Agonis Fragrans) is another oil that can help relieve the symptoms of arthritic and muscular pain, sinus infections, colds and flu. She supports the immune system and is an excellent choice in viral infections including herpes simplex and zoster. She can be used to ameliorate the effects of jetlag. Useful for treating wounds, cuts and abrasions. Fragonia™ can be used for stress, anxiety, depression as she helps uplift people emotionally and brings a sense of peace, harmony and balance. She works at a deep level to heal emotion scars and unresolved issues. Fragonia™ used before going to sleep may enhance lucid dreaming and recall. 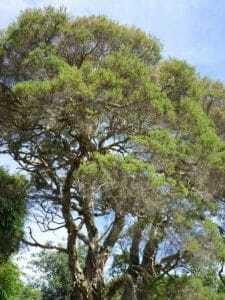 KUNZEA (Kunzea ambigua) is the oil to use for pain whether of a physical or emotional nature. On a physical level she is helpful for colds and flu, muscular aches and pains and arthritis. Use also for skin conditions such as eczema, rashes, dermatitis, cuts and bruises. Kunzea has the ability to work at on a deep emotional level releasing blockages that can result in nervous tension, anxiety and stress. 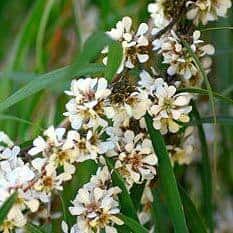 ROSALINA (Melaleuca ericifolia) is also known as lavender tea tree. Because of her strong anti-bacterial and anti-viral properties she is very effective for treating sinus infections, respiratory congestion, coughs, colds and the flu while being gentle enough to use with children. Use her also for headaches, acne, tinea, cold sores and insect bites. On an emotional level rosalina is very calming, nurturing and relaxing. She can be used for stress, insomnia, nervous tension and anxiety. 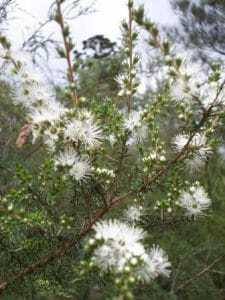 TEA TREE (Melaleuca alternifolia) is a good antifungal and can be used for athlete’s foot. She is also strongly antiviral and antibacterial and so is helpful in easing the symptoms of bronchitis, colds and flu. Use her also to treat sinusitis, infected cuts and wounds, athlete’s foot, insect bites, cold sores and boils. On an emotional level she can help you see things from another’s perspective and therefore negotiate your differences and come up with a solution or answer that is acceptable to both parties. She is also helpful for nervous exhaustion and stress. This entry was posted in Essential Oils and tagged Australian sandalwood essential oil, eucalyptus radiata, eucalyptus staigeriana, fragonia, kunzea, rosalina, teatree on January 24, 2018 by Carole Hodges.